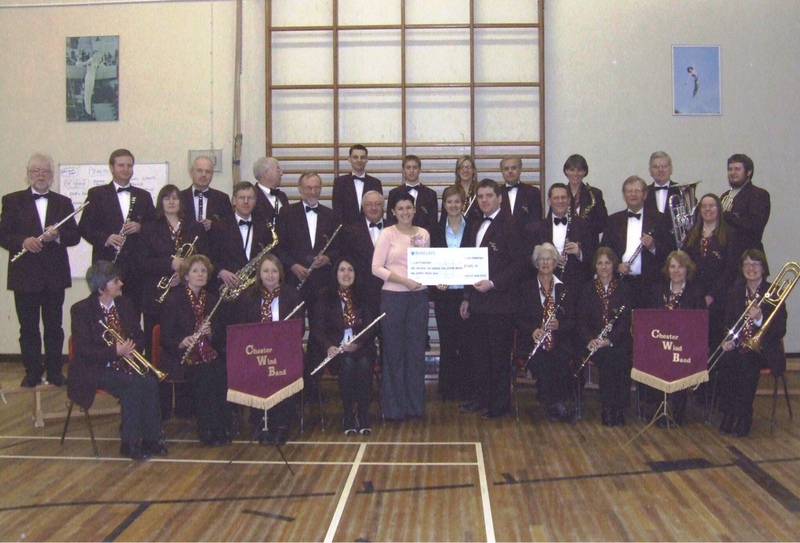 Chester Wind Band was formed back in 1989 by Peter McNulty, a former Headteacher of Blacon High School and the band's first Musical Director, Edward Milner. The band received some financial backing from The Lord Mayor of Chester and an award from the National Lottery Arts Fund which ensured further expansion and helped towards the purchase of new instruments. 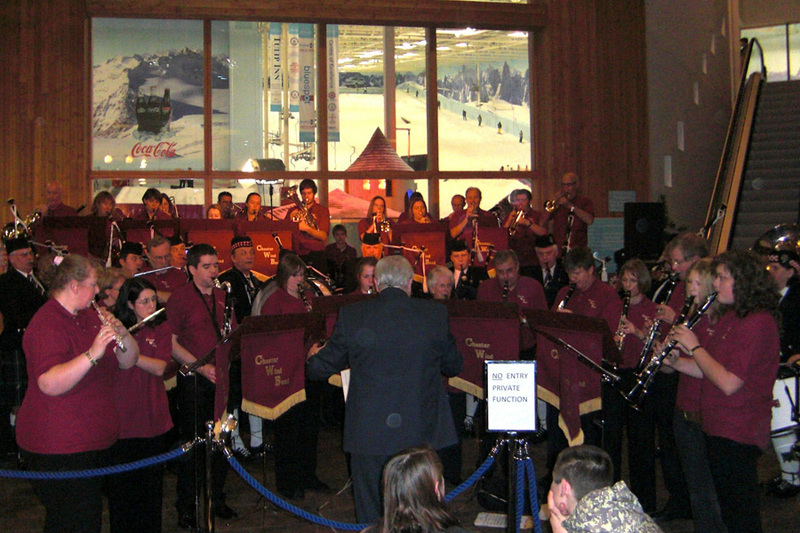 In 2008 the band were featured live on the BBC Children in Need North West coverage, performing a selection of pieces at the Chill Factore in Manchester. Along side regular events such as Hawarden Remembrance Parade, Countess of Chester Trees of Light service and the Eaton Hall Open Days, the band perform two main concerts per year (May and November) raising valuable funds for charities whilst working to secure it's own future. The "Last Night of the Proms" concert each November is certainly not one to be missed! The band has gone from strength to strength over the years, growing in both size and musical ability and we are proud to still be affiliated with Blacon High School, who's ongoing support provides our rehearsal venue.